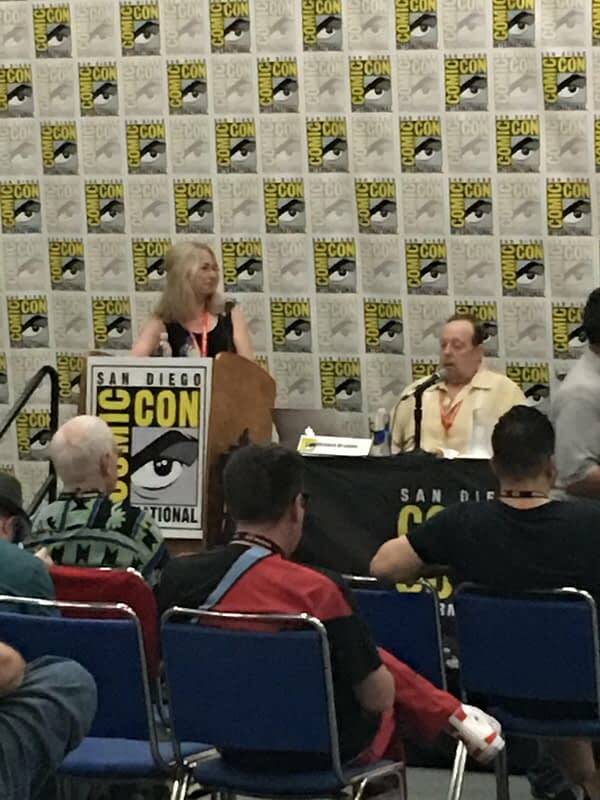 At SDCC, founding editor of DC’s Vertigo Karen Berger is on hand to explain the first projects revealed as part of her new Dark Horse imprint, Berger Books. Berger says she’s really happy to be here, and happy to be back in comics after taking a few years out. 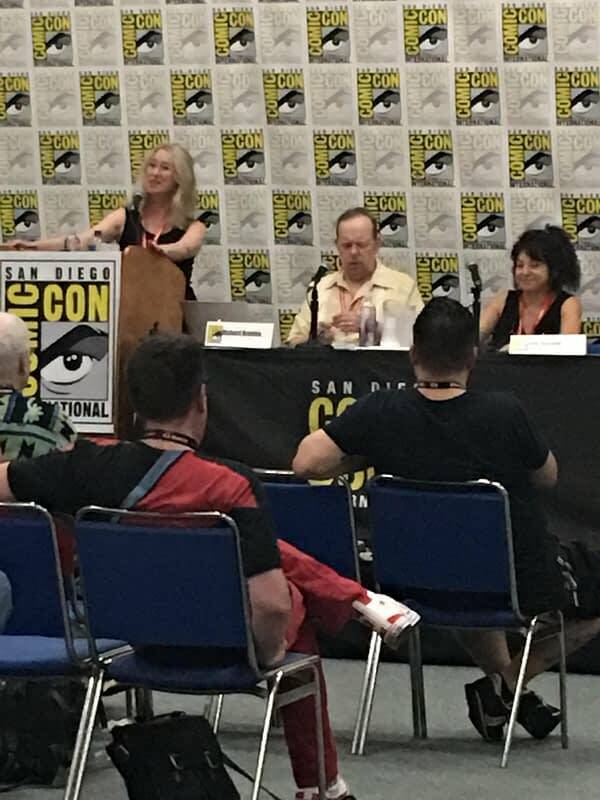 Panel includes Dave Gibbons, whose work The Originals will be reprinted at Berger Books with a special edition; Mat Johnson is next, novelist who is the writer of Incognegro, which will see the original volume reissues as well as a new series; Ann Nocenti, and Richard Berger an art director who designed the Vertigo logo and also the Comic-Con logo. First discussing Hungry Ghosts, Berger was thrilled to get a call from Anthony Bourdain and Joel Rose to work together again after working together at Vertigo on Get Jiro, different take on a classic game played by samurais, but with international chefs trying to one up each other. First issue out January 31st, 2018. 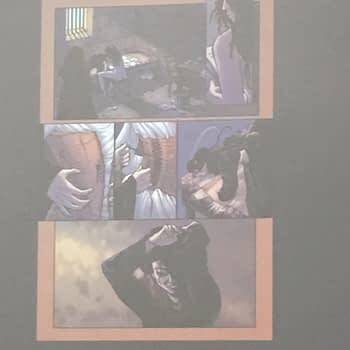 The Seeds, a four-issue series by Nocenti and David Aja. Nocenti says at its core, it’s a human-alien love story, but we don’t know if the aliens are just crazy or really aliens. There is a wall between two sides (sound familiar?) and it’s about love crossing gender and race. It’s also an eco-thriller. 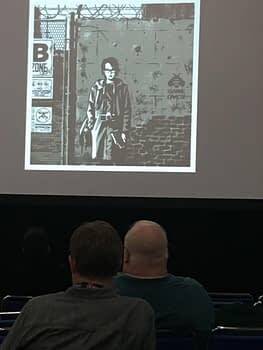 Nocenti says this is an equal collaboration with Aja — their names will switch places on the book to represent their equal contribution. The first creator-owned series for both Nocenti and Aja. 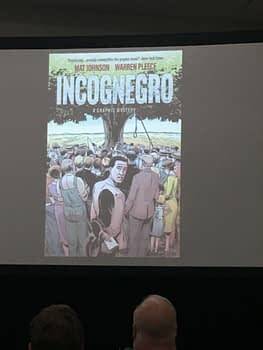 Incognegro: Johnson explains that it’s the story of a white-passing African-American man investigating lynchings in the Deep South, in part loosely based on the story of Walter White. He says it was inspired also by his twins, one of whom looks very white while the other has darker skin. 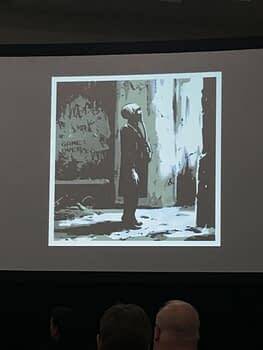 He also discusses how artist Warren Pleece’s art has continued to evolve and looks brilliant, with some art shown on the screen. Johnson taught Harlem Renaissance literature in his day job as a professor, so enjoyed deep diving into this for his comic. There will be historical figures in the book. 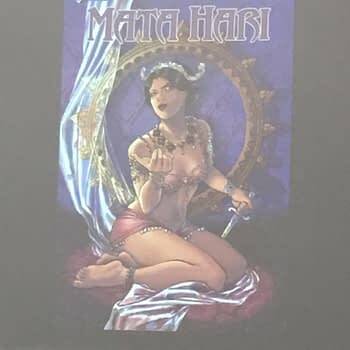 Next up is Mata Hari, following the story of the exotic dancer notorious for how she lived, but she was also a spy. Berger says she was fascinated by the pitch because it was told from a feminist perspective. She was also a storyteller and made up stories about herself. She’s an unreliable narrator and a real mystery, and the story of the comic is told on the eve of her execution. Writer Emma Beeby has an incredible background as a writer, in all sorts of avenues, including video games and horoscopes. 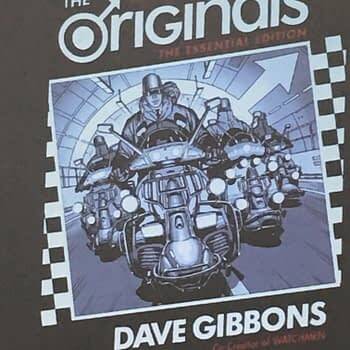 The Originals comes up, originally brought to Berger at Vertigo in 2002, and Berger was thrilled Gibbons got the rights back so they could reissue it under Berger Books. Gibbons describes it as greatly autobiographical, from his time as a Mod. 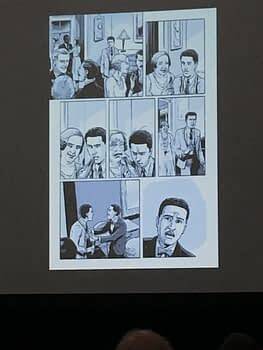 He described how he was approached by Berger to do something he both wrote and drew, and he knew he didn’t want to do another science fiction story. 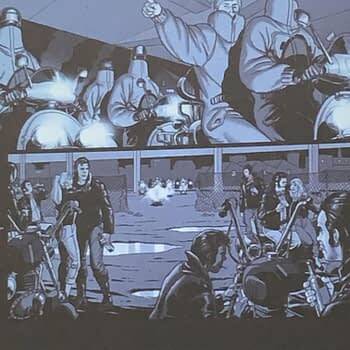 Then one day driving in his car, he saw a man in a leather jacket on a motor bike that made him want to run him down, harking back to the age old sense of conflict between Mods and Rockers. He found not collaborating and working by himself quite difficult, but it’s very close to his heart. 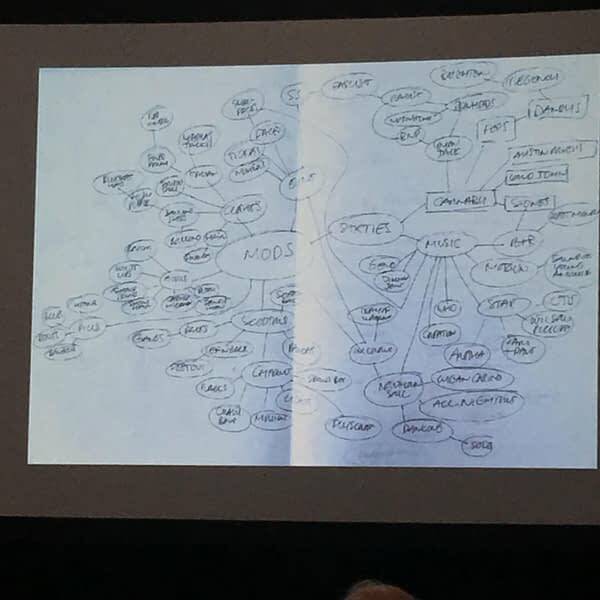 The edition with Berger Books will be much bigger than originally printed, and he keeps everything in the work he does, so this edition will have plenty of behind the scenes elements too, including Gibbons mind-map for the book. He’s very pleased with this edition. 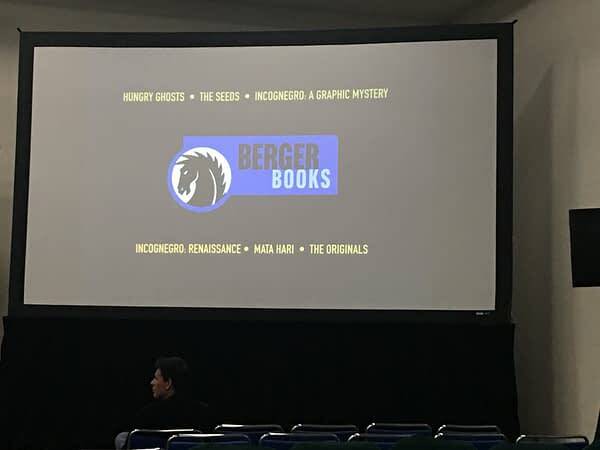 Berger, on the approach when designing the books (aside from The Seeds which is designed by Aja), he says it’s about making things feel more cohesive and bring everything together as a whole to make the project more immersive. The Berger Books line all starts in 2018. Audience questions: the line will not be accepting submissions, as she’ll be editing line herself, and as such looking at around eight projects per year. What makes a Berger Book a “Berger book”? It needs to feel fresh, it needs to feel original, it needs to have an edge to the story, but mainly it’s some form of contemporary fiction. If it’s a historical story, it has to have relevance to the world today. She says the books revealed so far feel right together. Gibbons says the common thread is Karen, given her curation of the line. There are also plans to do a sequel to Incognegro that will take place in the 1960s. 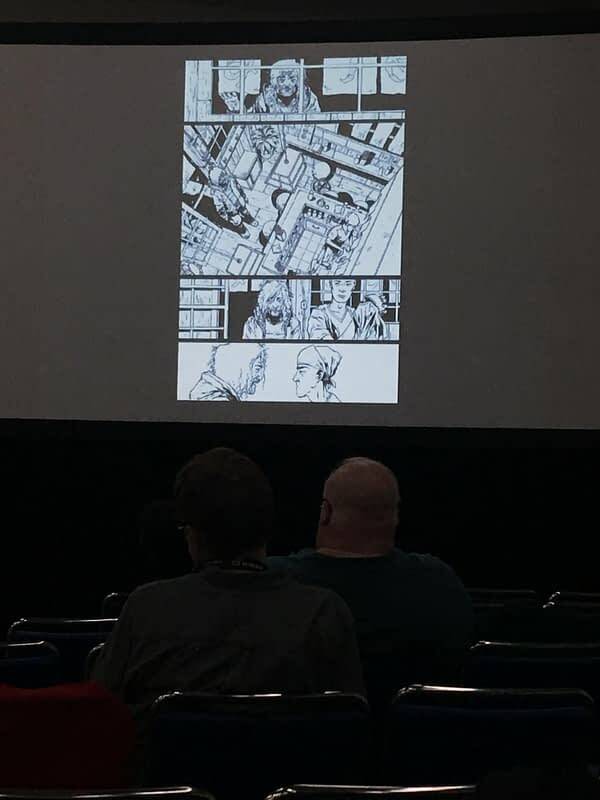 Leaning 50/50 to limited series and ongoing, though most of the titles revealed so far are limited series that will be collected three to four months after final issue. Someone asked: having discussed the feminist perspective of Mata Hari, how can they marry that to the inclusion of Paul Pope on Hungry Ghosts, given the allegations from around nine months ago? Berger, visibly startled, simply replied that she was not aware of these allegations.